I do and I'm hooked. It's so fun and quick to add a photo of whatever you are doing at any given moment. I took the photo above as I left my house the other morning. It occurred to me that I wanted to share my fun Jack-o-lantern, but he wasn't blog post material. Ta da... post him to Instagram. You can edit photos (if you want) right there on Instagram. Followers will instantly let you know that they like what you've shared. A simple hashtag can lead you to find lots of people who like the same kinds of things as you. Stuck waiting a few minutes for an appointment? Just scroll through all the latest eye candy from everyone you follow. Before you know it, the nurse is saying your name for the third time. I'd love for you to follow me on Instagram. And then add your Instagram photos to this party! Thank you for joining us for Monday Social #5 last week. Link YOUR photos or photos you have permission to use. Please do not link Etsy or other direct advertising. 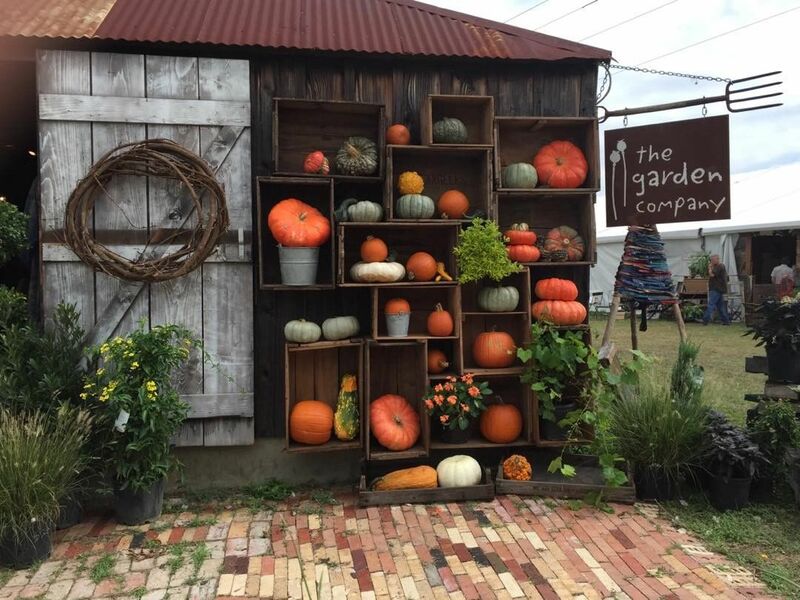 Sarah shared this pumpkin display from Marburger Farm. I want to go to Round Top! But in the mean time I will happily visit it on Instagram. Check out Sarah's Instagram for more beautiful photos. 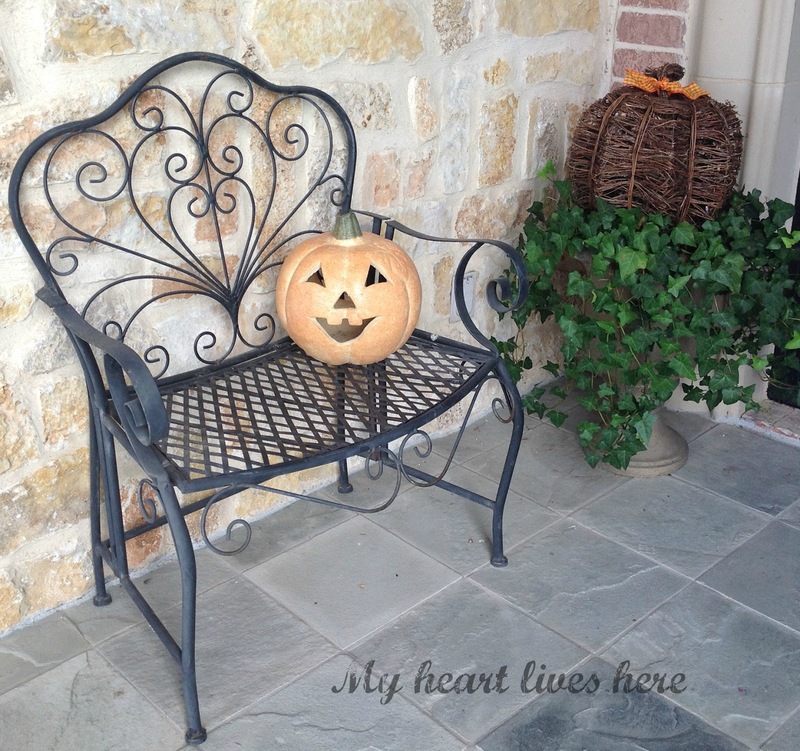 Cecilia @ My Thrift Store Addiction pinned her wonderful Jack-o-lantern transformations. How cute would it be to put a fern in one? See her board at My Thrift Store Addiction. 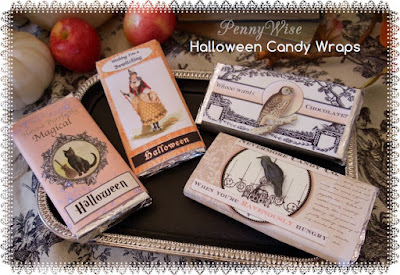 Christina Paul at PennyWise shared some fun free printable candy bar wraps. Wouldn't these make a great party favor? We love seeing all your links and sharing them with others. 1] Link a maximum of 5 photos that take party goers to Pinterest, Instagram, Facebook, or a Blog. Share home decor, DIY, recipes, inspirational thoughts... whatever is going on in your world. 2] You do NOT have to write a blog to link up photos to Instagram, Pinterest, or Facebook. Isn't this great? More people can join the gathering. Just grab the web address and link away. I love that pumpkin display!